Gamers rejoice! 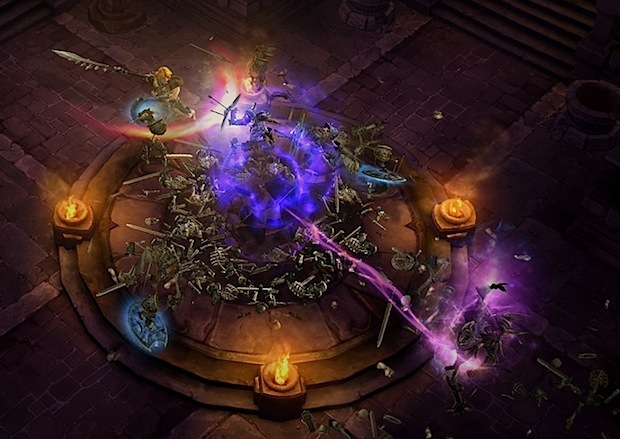 Diablo 3, the highly anticipated action role-playing game, will be released on May 15 for both Mac and PC. Blizzard Entertainment has had the game in development seemingly forever (2001! ), but it appears the long wait has been worth it. 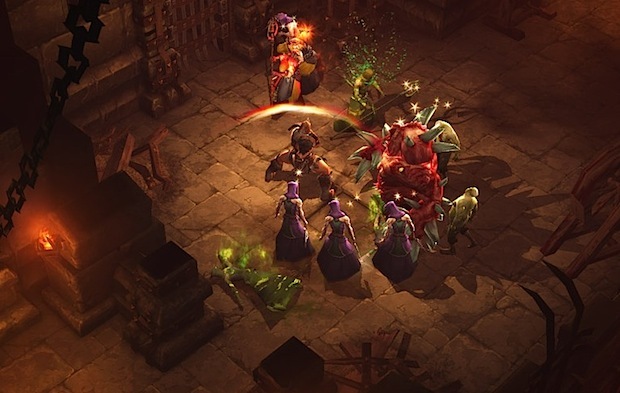 Gameplay is a mixture of dungeon crawling and hack-and-slash with RPG elements, there are five different character classes each with their own skillset, and there’s also a multiplayer PvP mode. The expectations for Diablo 3 are quite high, but looking at gameplay videos and screen shots don’t disappoint with it’s gorgeous graphics and action packed style. This could easily wind up being the best major game release for the Mac platform this year, and gamers of all types should be anxiously awaiting it’s release. Blizzard has a great record of releasing games simultaneously for both Mac OS X and Windows platforms, making it one of a few larger game companies to prioritize the Mac as an initial release platform. Diablo 3 will cost $59.99 and can be pre-ordered and even pre-downloaded directly from Blizzard via BattleNet. I was excited when the development news broke. Subsequent news ruined the day. “You cannot play a single player game without character verification through battle.net.” = “No purchase”. Rethink your decision to buy this crap! I’d rather not have to deal with the hacking that took place in both diablo and diablo 2. I agree completely with BK. Since my internet access goes down occasionally, I don’t really feel like having access to the single-player campaign depend on it. This was a deal-breaker for me.